My giant Christmas bauble has a new use. 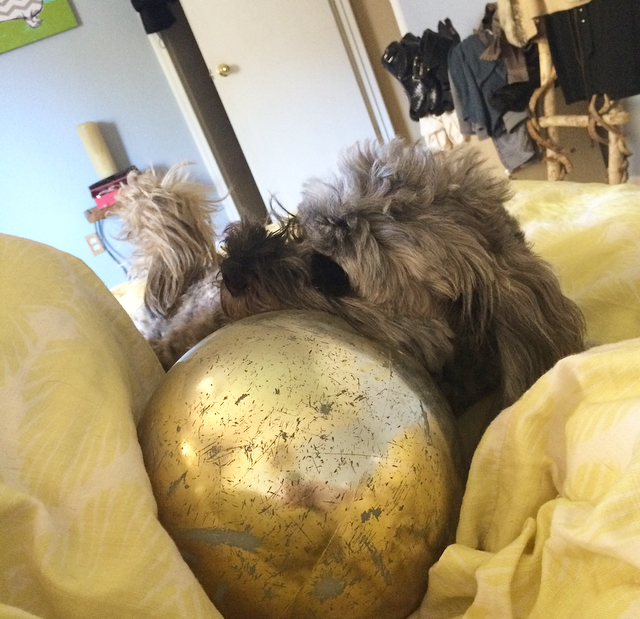 Mr. Twix is using it as a football. This is why we can’t have nice things, but he does make us laugh. Watch the video below to see his antics.